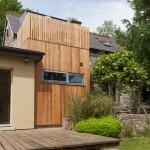 A simple cedar-clad timber addition between an existing C19th cut stone cottage and its recent extension. 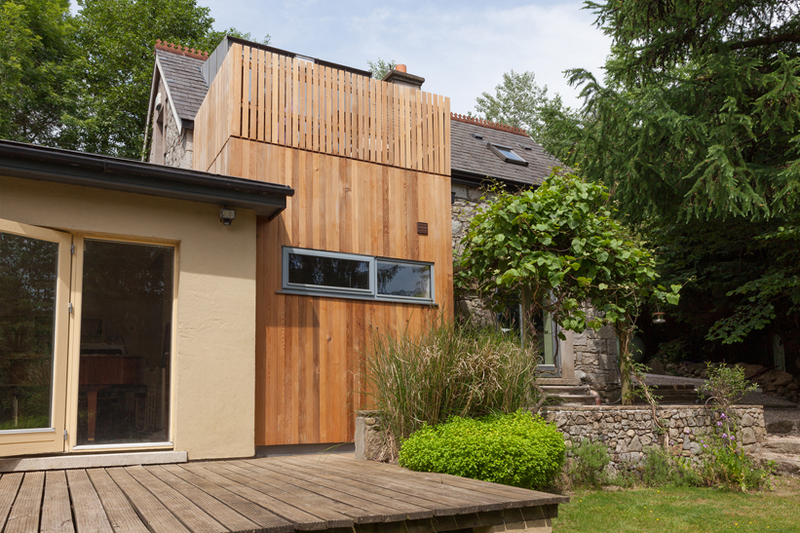 The box contains a ground floor bathroom for guests, the roof becoming a timber lined balcony for the existing bedroom above. 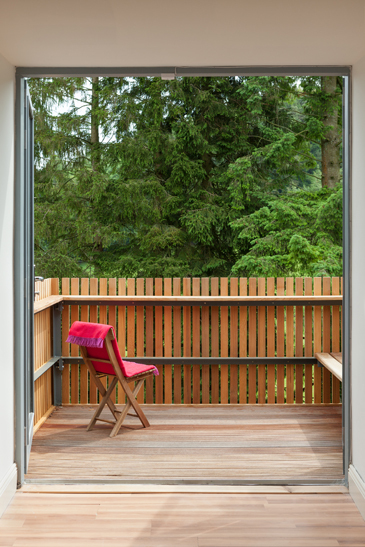 A new zinc dormer reorients the bedroom to this balcony, to face a view of a line of tall pines and the undulating Wicklow landscape. 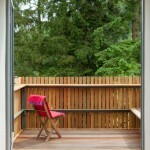 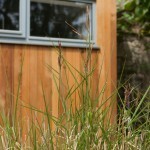 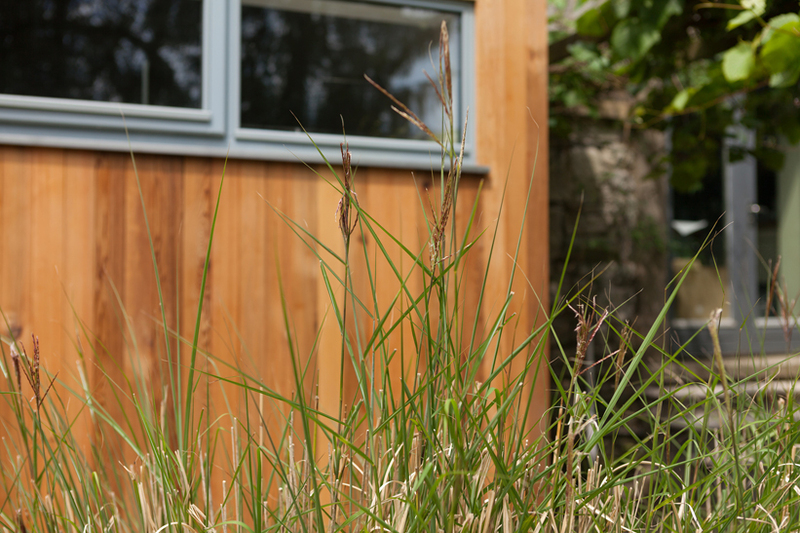 The window to the bathroom frames the same landscape while also being positioned for privacy.